Most brands promised you could eat the whole pint of ice cream for less than 300 calories, and some even said their product was high in protein and “good for you.” As someone who loves ice cream (really, desserts in general), yet strives to maintain healthy eating habits, I was intrigued and skeptical at the same time. Could they really be that good, and are they really healthy? I went ahead and gave a few of these ice cream pints a try, buying some of my usual favorite flavors, like birthday cake and salted caramel. The first red flag came when I took a birthday-cake-flavored pint out of the freezer for the first bite. The ice cream was hard as a brick and impossible to scoop out without waiting 15 minutes or more. I complained about this on Twitter and a brand actually answered, confirming that it’s due to the light ice cream’s lower fat and sugar content and suggesting I put the pint upside down in the microwave for a few seconds. The consistency and flavor of the “healthy” ice cream were more watery than creamy, and it definitely didn’t taste “natural.” Instead, it tasted like watered-down chemicals that really weren’t all that sweet. I finished off that pint in one sitting anyway, because, at only 300 calories, that’s what you’re supposed to do, right? I guess I had some false hope that it would taste better by the time I was done. Not only did I not feel like I’d eaten something healthy, I didn’t even feel like I’d indulged in a treat. As it turns out, my suspicions about the ice cream’s fake-tasting flavor and concerns on its ingredients weren’t too far off. 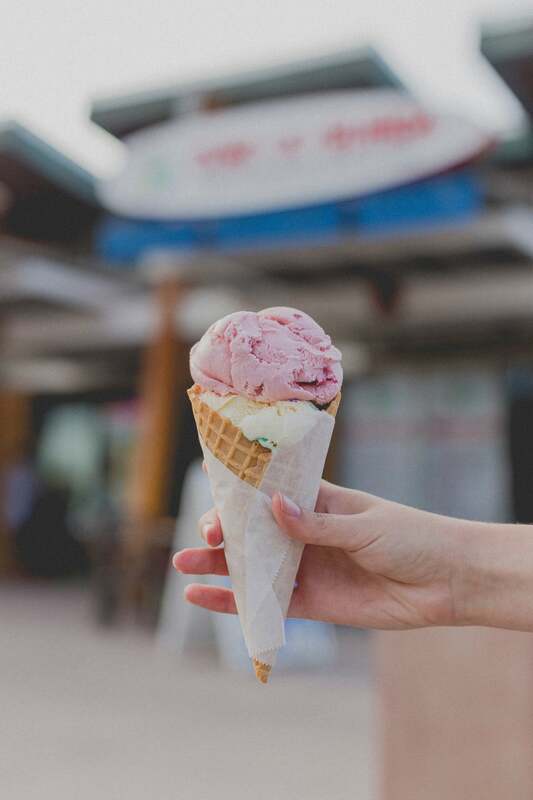 While most of these light ice creams do contain core ingredients found in regular ice cream (such as milk, cream, and eggs), some have also added fiber, milk protein concentrate, and, in place of regular sugar, sweeteners like stevia, monk fruit extract and erythritol (a type of sugar alcohol). That explains the less-than-satisfying flavor and texture I experienced. Sweeteners like erythritol are also known to cause gas and bloating, which could leave you feeling unwell after polishing off a pint. And while the ingredients in place of sugar and extra fat aren’t necessarily bad, they don’t automatically make these ice creams healthy. It’s called the Snackwells effect (referring to the fat-free cookies and cakes that gained popularity in the ’90s). 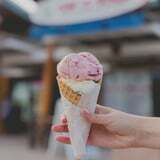 “Just because you’re given free rein to enjoy more in one serving doesn’t mean you’re going to feel as satisfied as you might when you enjoy a normal-sized serving of a scoop of regular ice cream,” Kruppa said. At the end of the day, ice cream is likely not something you indulge in every single day of your life, so when the mood strikes, Kruppa and Garcia agree, it’s OK to live a little and enjoy a scoop (or two) of the real thing for a total of 150 to 200 calories. “If you really want to eat something healthy in place of a sweet like ice cream, you’re better off eating something that’s actually wholesome and healthy, like fruit. If you really want ice cream, go ahead and have a small amount of the regular thing,” Kruppa said. I agree – life’s too short for fake ice cream.